Every year seems to be moving faster and faster, I find it hard to believe we are already in 2015! I just wanted to take a quick second to say thank you to all my patients, friends and family who have made my little practice so successful. Many of you may have insurance plans that renew or may be changing. Please make sure to call my office to verify things like acupuncture benefits, deductibles and co-payments. I want to make sure there are no surprises. 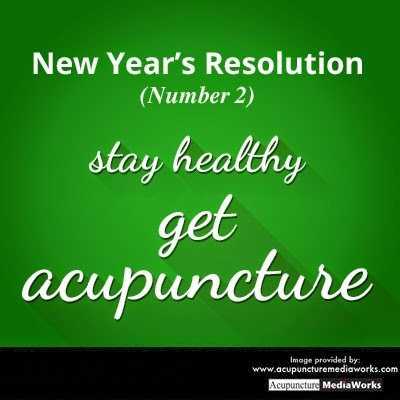 If you haven’t had acupuncture benefits in the past, there is a chance that the new insurance regulations have changed to include coverage, so feel free to call and we will check that for you as well. Many patients like to plan out the year for their visits. It’s a good way to stay healthy and secure the appointment times you prefer. While your setting up you schedule for the new year take some time to keep yourself healthy and balanced. Usually I recommend monthly “tune up” treatments. If you’d like to reserve your time now. Click on the link below. Once again, I want everyone to have a happy, healthy and safe 2015. I look forward to serving you in the new year!